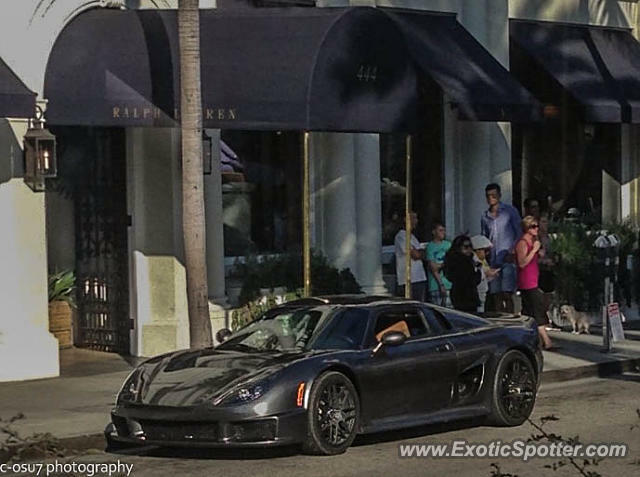 My friend sent me this shot while he was in Cali on Rodeo Drive and he had no clue what it was so I told him and he was shocked. This is the car that was used on Top Gear USA! Insane find! This are so cool and even cool know it was on top gear! Great shot too! Hahaha it's a good one! Thanks! Wow I watched that last night. I wonder if he saw them. LOLOL I literally just noticed that as I finished watching it 10 min ago hahaha thats awesome! Alright. But next time please check it before uploading someone else's picture. Lol I guess I didn't think about that but I mean I did the editing and have it set to put my watermark on and I just didn't think to not put it on lol. Thanks for commenting! I have a question, if your friend took the picture and sent it to you.... why did you put your watermark on another persons picture? The front of the Rossion is very distinct from the Nobles it takes its appearance from & makes it easily distinguishable. Oh wow. My bad guys, thank goodness some people know about these kinds of cars lol. Thanks!! !